RIZE, formulated by a physician and triathlete, is a functional beverage that maximizes physical and mental performance. It does so by maximizing body function on a molecular, cellular, and cell to cell level. This promotes physical performance, beyond any existing drink and does so without a crash. This formulation also promotes cognitive function, memory, and focus, based on ingredients with proven scientific efficacy. As a dedicated triathlete, physician, and scientist, obsessed with maximizing my own physical performance I was desperate for any competitive edge I could find. Even as an amateur triathlete I took my physical and mental training seriously (too seriously, some might say). Very early on I began an exhaustive search for the perfect fuel. I wanted strength and stamina, force and focus, endurance, performance, and energy. I discovered what I wanted didn’t exist. So I have created it. The functional beverage RIZE is the result of years of investigation and research into the benefits of bioactive nutraceuticals and the scientific and medical literature behind them. The most beneficial nutrients have been combined to produce something exceptional and powerful. RIZE takes everything we know about the most effective, powerful, energizing nutritional compounds known to man and uses that knowledge to produce a comprehensive, efficacious, drink that revives, refreshes, and revitalizes. RIZE provides focused and sustained physical and mental energy. RIZE is revolutionary in combining nutrients that have not been used together before now. One example is something called HUPERZINE A. It is a nutraceutical in the USA but it is used as a pharmaceutical in China to treat Alzheimer’s due to its ability to improve mental function. Huperzine A, in proper dosage has been shown to benefit cognitive function, focus, and memory in clinical trials. Another amazing nutrient in RIZE is the “fuel”, TREHELOSE. TREHELOSE is a natural occurring, double bound sugar. It is beneficial for several reasons. TREHELOSE is an amazing fuel and releases twice the energy of glucose molecule when metabolized. This quick but sustained massive release of energy enables flight in some species. Still, it has little effect on the glycemic index and therefore acts more like a protein than a sugar. Second, because there is no “spike” in sugar there is no insulin surge and no “crash”. A lot of drinks claim this with no reason to actually claim it. 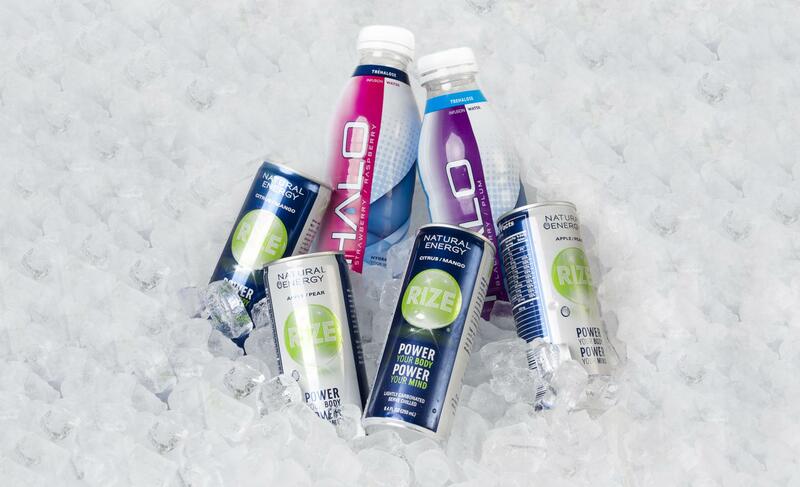 There are a few functional beverages out there now, but none compare to RIZE. RIZE will appeal to a wide portion of the market, “good for the most extreme athlete and the most overscheduled soccer mom. Good for the elderly wanting to maintain youthful vitality, and for the college student wanting to improve concentration for their studies.” RIZE is really ideal for anyone wanting a little more energy or an edge over their competition. Check out the RIZE Energy Drink website CLICK HERE!